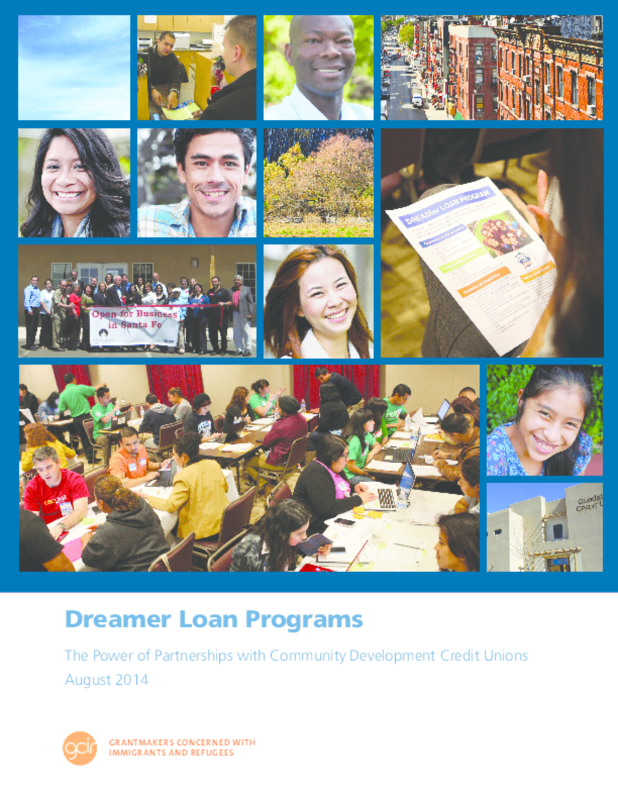 This report provides an overview of five Dreamer Loan programs, identifies their common and distinguishing features, and underscores timely financial empowerment opportunities presented by DACA. In addition to helping individuals afford the DACA application fee, the programs' loan products help largely unbanked immigrants avoid predatory lenders, gain financial knowledge, and begin to establish credit and savings. This report also considers how philanthropy can help replicate such loan programs in various regions of the country. With the prospect of expanded administrative action on the horizon, as well as possible large-scale legalization through future legislation, DACA loans provide an important test-run for the effort that would be required to help upwards of 11 million immigrants along the path to legal status and citizenship, which is likely to include thousands of dollars in fines and fees. Copyright 2014 Grantmakers Concerned with Immigrants and Refugees (GCIR).